This period in China was the history of European expansion and a tremendous changeover for Chinese people to take over the sovereignty. This period was the beginning of modern history, which was full of wars and invasion of foreign big powers. During this period of time, China has been through enormous changes which set up the form of a fast developing country in the world. This 100-year should be well analyzed. Wars open the door of invasion of China, which has transformed China into a semi-feudalism and semi-colonialism country. The political system of China has been altered all at once, which has meanwhile brought the significant changes on economy and culture. 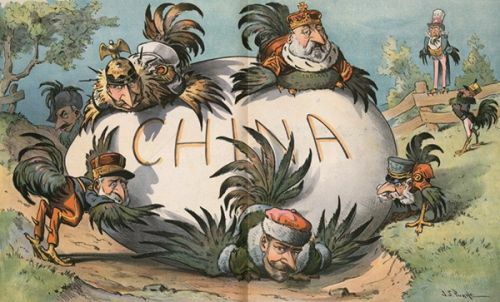 This essay will discuss the causes and consequences of big events by analyzing the relations between the development of China and the expansion and colonialism of European countries. The European expansion has made china’s economy develop at a slow pace. However the colonization actually accelerated the social process enriched the horizon of the mass and opened a new world market for China. China has entered into a new world full of challenges and opportunities despite the loss of sovereignty, land and market. History was miserable, yet the connection with the whole world, the acceptance of new technology, new favorable conditions for development should be well taken into account. This war has changed Chinese political system from feudalism to semi-feudalism and semi-colonialism. It was the beginning of modern history. The first opium war has opened the Chinese door to the new world, a world full of capitalism and diverse cultures. Before 1840, China was an isolated country with a natural economic model. The cause for this war can be divided into several parts. First, the world market has provided much production materials and capitals for the foreign countries to develop. They want more capital and more material to become stronger. European powers found any kind of way to take up markets and invaded other weak countries. China was one the good place for them to realize their dream to take the first place in the rank of the whole world. (Li, 1937)Britain started the war by selling opium to China. When the economic means have been hindered at that moment, they changed their ways of invasion- wars. In 1858 the second opium war was started by British again for more capitals and market and opening ports. The pursuing for profit was the final aim of those big countries. They were ambitious for the development of their own country. They wanted the power and profit. The means were different to open the door for a big market. They wanted power to control the whole world. The war was world-wide. The political system has been completely changed into the semi-feudalism and semi-colonialism. The natural economic system was ruined and the development of China was integrated with foreign interruption. More capital ran into Chinese market. Opium war opened this country to the whole world, which brought a new world for people with the big changes on culture and society. The integration of different cultures, the signing of unequal agreement and the loss of dignity land and capital were all the consequences the war has caused. The two movements were started respectively by peasants and western system advocators in Qing government. They had the common ground to change the existed system and fought for more right and self-sovereignty. They were rebellious to fight against the unsatisfactory system. (Google, news, 2013)The peasants were not satisfied with the acts of the Qing government. They wanted more rights, lands and freedom. They wanted to drive the European big powers out of China. But they were too weak and no capitals and requisites such as land, guideline or even the great leaders. They were doomed to be defeated. So did the western system advocators. They advocated the western developing model which was not suitable at that period of time. Without capital, effective guidance for economy, mass basement and strong leaders, their innovation could not work. However, Chinese had a new sight to see the world. They knew their weakness and do not resisted to accept the new thoughts and system. The semi-colonialism was strengthened with great loss of lands, ports, markets and money and sovereignty. European great powers were fighting for the markets in the world. They did not want to miss the chance in dividing such a great land full of cheap workforce and natural resources. They took away not only the resources but also were the sovereignty. China had no right to decide which system was the right one for the development of this country with a weak and powerless government. People had no freedom and they had been through a very miserable and humiliating history. Qing government was just a puppet controlled by foreign big powers. As a result, the rebellions were everywhere. This war had caused plenty of consequences on Chinese culture, economy and politic. It was the peak of aggression with all the coalition of eight big European powers. It was a war between eight countries. They wanted to show the power of their own country. They were so greedy. There was no such an end for materials, market and capital. 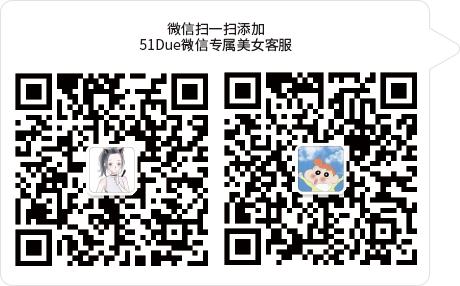 The division of China started to show unfairness. (Bradshaw & Chadwick, 1980).They colonized China as an affiliated market for their development of capitalism. They wanted to rank the first place in the world. They used political, economic and cultural means to control China. As we know, the consequences were predictable. On economy, China was totally controlled by big powers. Their natural economic system was almost ruined and replaced by a new capital system. At the beginning, this capital developing model seemed work, yet China could not lead a way for capitalism despite so many significant influences. China’s natural economic system was deep-rooted. China has a long history of feudalism which can not be destroyed for one night. The power of Chinese mass can not be ignored either. They would like to accept innovation and development, but they did not want to be controlled by foreign powers with no freedom and sovereignty. On politics, Chinese government was under control by foreign powers. They signed endless agreements with them to provide more materials, money and workers. Especially people were treated unfair. They had gone through a miserable, unacceptable and inhumane life. The crisis for this nation has been on the peak. This event was also a test of the power for European invaders. The contradiction between them was accelerated and the bud of unfair division of colonization already existed. The revolution of 1911 was a capitalism movement. It had a tremendous and significant influence on China, which has brought great changes on every side of this country. The contradiction leaded to the explosion of this revolution. The capitalism has developed on this land for a period of time. The capitalists in China were patriotic and passionate to spread their capitalism thoughts. They want to change the whole country into a capital world. They copied the model of developed countries. However, the pursuing for future, freedom and democracy made them to take a fight against those European big powers. This revolution was inevitable. The capitalists saw the pain of people, the weakness of the government and the future of capitalism. This significant event has brought many influences, but it could not rewrite the history. Capitalism could not work in China. Politically, capitalism was not suitable to the developing model in China whose natural economy system was hard to change. Feudalism had a long and deep influence in China. But the revolution of 1911 altered the form of development in China. It ruined the feudalism at the first time. It spread the capitalism thoughts. It enriched the horizon of people, which has turned a new page in Chinese history. On politics, this revolution has been called the first great capitalism revolution in Chinese history, which has given an end of Qing dynasty, the feudalism and monarchy. But capitalists did not have a clear guidance for management of this new democratic country. From the thought-developing perspective, this revolution was at movement of enlightenment. It made the mass accept the thoughts of democracy and republic. It shook the traditional thoughts such like Confucianism. The social influence was not that huge, because China did not have a strong capital class at that moment. This revolution just defeated the weak government, but on the contrary it consolidated the position of some rich and noble class. They did not solve the problems concerning the poor peasants. This revolution only belongs to the capitalists, not belonging to the poor mass. Without caring the need of lowest class, the revolution was not thorough and destructive. This movement was a real turning point in Chinese history. It was the revolution of all walks to fight against feudalism and imperialism. This movement was caused because the unfair agreement signed in Paris Peace Conference. They rejected the requirement of Chinese representatives to withdraw the troop in China. The northern warlords’ government agreed to sign the agreement under the pressure of big powers. Peking University was enraged and called on workers businessmen for this big demonstration. (Huntington, 1968). From this movement, the expansion in china was still not erased clearly. They still imposed their views of value on Chinese people. They treated china as their colonization, a weak underdeveloped country, no rights, no equality, and no sovereignty. The development of china was so slow. They should depend on the help of big powers. The business sprouted in China will highly rely on the foreign technology and skill. But this important turning point has encouraged the budding of self-business and industry. The patriotic emotion was widespread. The New Culture Movement was one consequence of the revolution of 1911. The two movements have stimulated the founding of many social patriotic communities. Many big events happened during this 100-year period. The whole was the modern history for China, which was filled with wars, invasions and rebellious movements. The development was so slow and backward because the long imperialism and weakness of Qing government. Colonization and expansion of foreign countries did arouse great influences on the development of this country. The influence can be divided into positive effects and negative effects. Negative influence can be very clearly seen from all the bloody facts. The colonization ruined the self-development model, which took away the sovereignty, lands and markets. Colonization did help the development of capitalism of those big powers. (Cipolla, 1975) China was forced to be the affiliated market for them to invade and steal. The life of Chinese people was miserable and painful. The positive effects should not be neglected though the bad influences were so huge. First, China’s feudalism and imperialism was eradiated by colonialism. It was about to be altered into a capitalistic world with a speedy devolvement. But it did not work. That means the capitalism was not suitable at that moment. There was no the developing conditions such as strong leaders, more capitals and the supporting mass. The expansion brought the capitalism, but it did not change the social system whose natural economic system was so strong. The horizon of people has been enriched who have been oppressed for such a long time. The open door made China to accept new thoughts, technology and system. The relation between development of China and expansion can be analyzed from the historic events. On one side, government can learn the lesson form history and borrow the good points form the capitalism. The development can not be alone. The world is so small. World market is still need the cooperation of all countries. Participating in the competitiveness will provide China more opportunities. China should open its door to take part in the development of the world. Isolation is the great hinder for development on the other side, the differences and uniqueness of one country should not be underestimated. Not all rules can be operated in every system. This article has analyzed the development of China from 1848 to 1949 the founding of People’s Republic by depicting the causes and consequences of wars, expansion and colonization. Although the expansion and colonization have brought misery and hardship for Chinese people, the open to the world, the chance to accept innovative technology and ideas, the integration with varied nations should not be ignored.